Available in white or scarlet. Deliberately rustic glaze. 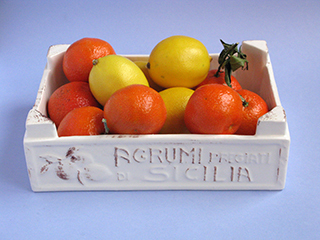 Inspired by Italian fruit and vegetable market boxes.